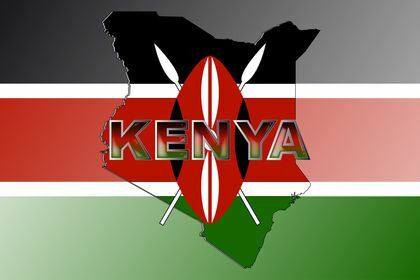 The Kenyan government on Wednesday announced administrative changes in the national police service to strengthen the war against terrorism, extremism, drug trafficking and cattle rustling. Cabinet Secretary for Interior Joseph Nkaissery said a reshuffle of police bosses and county administrators is in line with the ongoing efforts to strengthen responses to emerging security threats. “We have deployed new security and administrative officers in various counties to strengthen response to violent extremism, cattle rustling, alcohol and drug abuse,” Nkaissery told journalists in Nairobi. The deployment, affecting mainly major towns and cities, takes effect immediately and all officers are required to report to their new stations not later than Sept. 6. The Interior CS said the government has accelerated implementation of bold reforms in the security sector to boost service delivery. Nkaissery said appointment of new police bosses and county administrators was in line with an Executive Order to help secure the country from domestic and external threats. “Reforms in the security services are on course to help improve our modalities of operation. The government is committed to secure the nation in order to realize economic growth,” said Nkaissery. Cases of armed robberies targeting retail outlets in Nairobi central business district have escalated this year. According to testimonies from traders and security guards, crowded streets in downtown Nairobi are the prime target owing to their volatile nature. The soaring crime wave in the cities and towns has scared investors and if unchecked might reverse economic progress. Hardly a day has passed without an incident of violent robbery being reported in Nairobi and its environs. Nkaissery revealed that former Kenya’s Permanent Representative to the United Nations Offices in Nairobi, Ambassador Martin Kimani, will be the new Director of national counter-terrorism centre. Kenya has focused on administrative reforms, capacity building, technology and community engagement to root out threats to national security. President Uhuru Kenyatta has given a directive to regional commissioners and police bosses to reignite the war against terrorism, drug abuse and cattle rustling. During his weeklong visit to the coastal city of Mombasa, Kenyatta ordered security officers to wage a vicious war against hard narcotics that have wreaked the lives of youthful population. The interior minister told reporters the government has made headway in the fight against drug trafficking in the coastal region. “Our intelligence services are making crucial leads and will soon arrest kingpins in the drug business. The security services are determined to break the narcotics supply and demand chain,” Nkaissery said. He disclosed the government will set up a rehabilitation center for recovering cocaine and heroin addicts in the coastal region. “The changes will help us in countering terror and extremism, curbing cattle rustling in North Rift, combating illicit alcohol and boosting security,” he said.